President Donald Trump has committed himself to eliminating terrorism from the face of the Earth. Alongside the ban on Muslims entering the US, Trump has tagged “Islamic terrorism” as a threat to the “Civilized World”. What’s the Difference? Déjà vu. 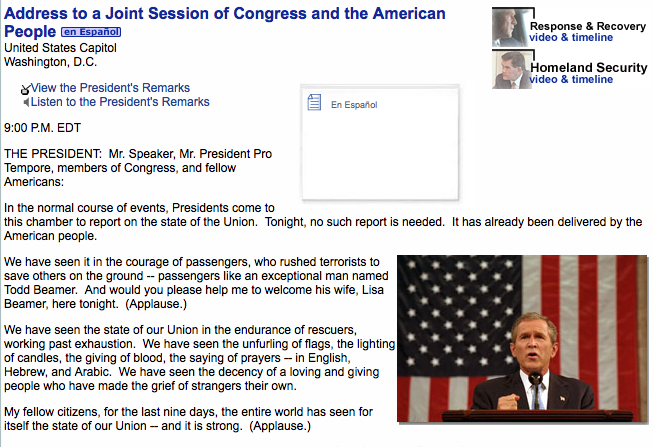 Continuity in relation to George W. Bush and Barack Obama? How will Trump Implement his “War on Terrorism”? Under Trump, the War on Terrorism doctrine remains functionally intact: Both Bush and Obama were committed to waging the “Global War on Terrorism” (GWOT) launched in the immediate wake of 9/11. Moreover, the “war on terrorism” became deeply entrenched in post 9/11 US military doctrine as well as Homeland Security. Trump has unwittingly joined the bandwagon of the GWB-Obama Fake War on Terrorism, which essentially consists in supporting the terrorists as well as nurturing political alliances with countries which directly sponsor and finance “Islamic terrorism”. Trump’s War on Terrorism is upheld as a “holy crusade” against radical Islam. He views Muslims as a threat to Christianity and Western civilization. In turn, Trump’s appointee to head the CIA Mike Pompeo considers the “global war on terrorism” (GWOT) as a “War between Islam and Christianity”. At the very outset of his mandate, Trump has reinstated torture including waterboarding, to be used against alleged Muslim terrorists. The objective is to “keep our country safe”. In turn, reports suggest that Trump has ordered the reinstatement of secret CIA’s prisons “where many of the worst abuses of CIA’s post-9/11 torture program took place”. Has the CIA’s War against Trump subsided? Trump so to speak believes his own propaganda, namely that Islamic terror organizations constitute a threat to the security of “Western civilization”. He also reveals a lack of knowledge and understanding of the history of Al Qaeda and the central role of the CIA in (covertly) supporting “Islamic terrorism” since the heyday of the Soviet-Afghan war. In this regard, he seems to be totally unaware that Al Qaeda is a US Sponsored Intelligence Asset and that the “Global War on Terrorism” is a Lie. It is therefore highly unlikely that Trump will wage a “Real War on Terrorism” by confronting the military and intelligence apparatus which (covertly) support Islamic terrorism. These include US intelligence, the Pentagon, NATO as well as Britain’s MI6 and Israel’s Mossad, among others. Moreover, several of America’s allies including Saudi Arabia, Qatar, Pakistan, Turkey (in close liaison with Washington) are involved in recruiting, training as well as financing the terrorists. 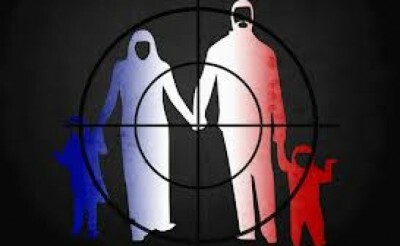 The Terrorists R Us. Lest we forget, al Qaeda is a creation of the CIA going back to the Soviet Afghan War. Trump has embraced the Neocon Consensus. Moreover, Trump has not taken a position against Obama’s counter-terrorism bombing campaign launched in 2014 allegedly against the ISIS strongholds in both Syria and Iraq. Under Trump, the consensus within the intelligence community which uses the GWOT as an instrument of destruction and destabilization prevails. While waging a campaign against Islamic terrorism, the US and its allies are the “state sponsors of terrorism”. In turn, America’s “Intelligence Assets” are subjected to acts of torture. That has been the unspoken practice. Torture is a diabolical instrument of propaganda which is intended to sway public opinion. Torture is upheld by Trump as a humanitarian instrument, as a means to protect Americans against “Muslim terrorists” who threaten the Homeland.